SPORTING ALERT – NFL Week 4 preseason scores and results from the final set of games that took place on Thursday night (3). Marcus Mariota, Alex Tanney and Zach Mettenberger all threw touchdown passes in the Tennessee Titans 24-17 victory over the Minnesota Vikings. The win saw the Titans finishing the preseason schedule with a 2-2 record, while the Vikings were losing for the first time in warmups, after making a 4-0 start. Mariota, the second pick in the 2015 NFL Draft, impress in his limited time on the pitch after throwing for 74 yards, including a 59-yard touchdown pass to Harry Douglas on 2 of 3 passes in one series at the Nissan Stadium. Rookie Taylor Heinicke, given the nod to start for Minnesota with Teddy Bridgewater and Shaun Hill both getting the night off, finished with 27 of 41 for 279 yards and two touchdowns. Mike Zimmer, who gave no fewer than 29 Vikings players a break, was losing for the first time in nine preseason games, but he, although admitting that he hates to lose, didn’t seem too bothered about the score. “Well, I don’t really care about my record, but I don’t like to lose,” he said. Among the players that didn’t play for the Vikings was star running back Adrian Peterson, who despite suiting up and going through his game time warm up, didn’t feature, which means he finished the preseason fixtures without taking a snap. In another NFL preseason score at MetLife Stadium, quarterback Tim Tebow, who is hoping to secure a place on Philadelphia’s roster for the new season, did little to hurt his chances after going 11 of 17 on passes for 189 yards and two touchdowns – although the Eagles suffered a 24-17 defeat at the hands of the New York Jets. Matt Flynn went 10 of 14 for 136 yards for the Jets, while Chris Owusu took five catches for 72 yards and a touchdown. Meanwhile, the Kansas City Chiefs played without all of its core players and still managed to score a 24-17 win over the St. Louis Rams and finished the schedule preseason undefeated. Chase Daniel went 16 of 20 for 117 yards and threw a touchdown in the win for the Chiefs, who ended with a 4-0 record. 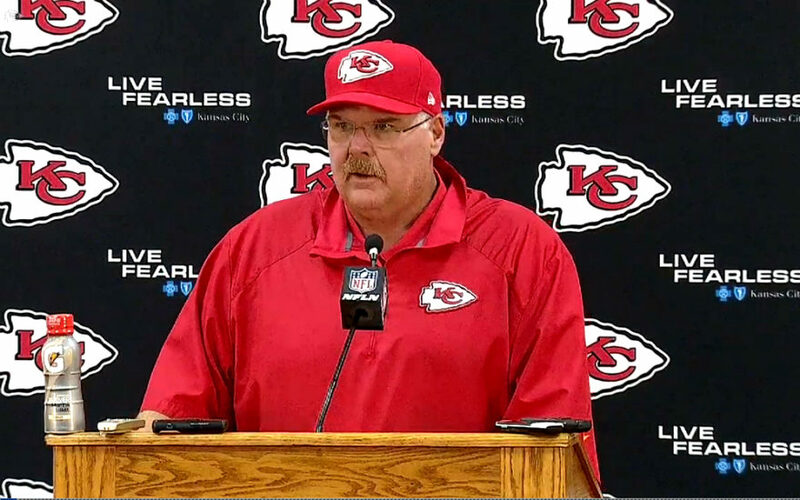 Despite resting his regulars, head coach Andy Reid said the focus never changed. They wanted to keep winning. Daniel added: “It’s not meaningless to us.